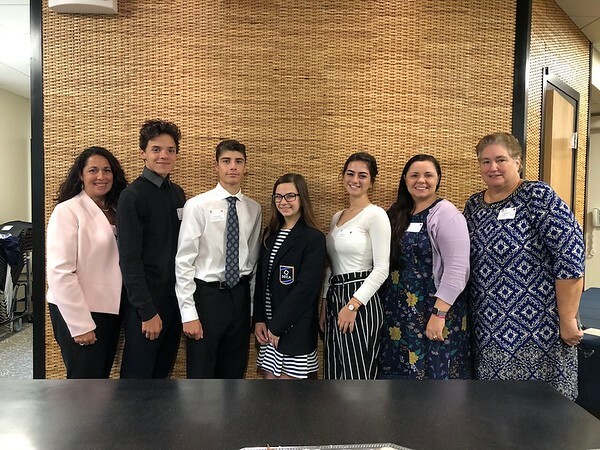 NEWINGTON - Teens did business over breakfast recently. 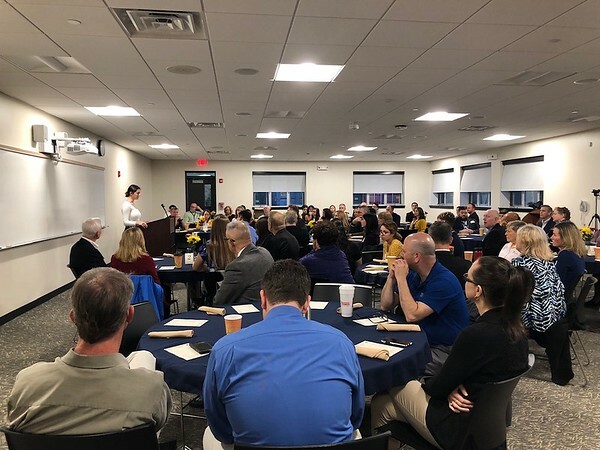 More than 75 community members joined students at Newington High School’s Academy Breakfast Oct. 12, strengthening a partnership that’s been several years in the making. 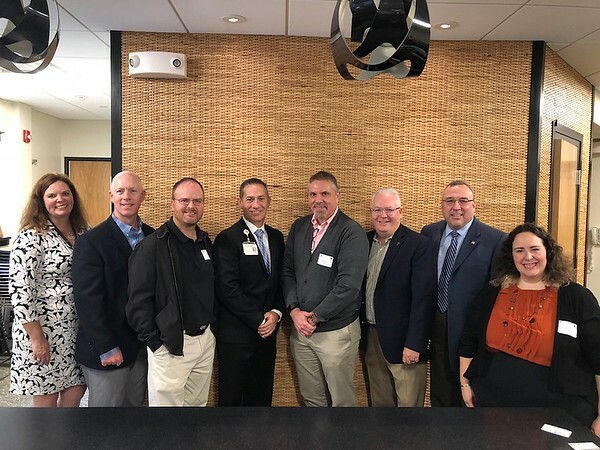 Newington Chamber of Commerce members and other local business professionals learned about the work going on at NHS’ four focused academies and a fifth set to open during the 2019-20 school year. Guest speakers included 11 academy students. 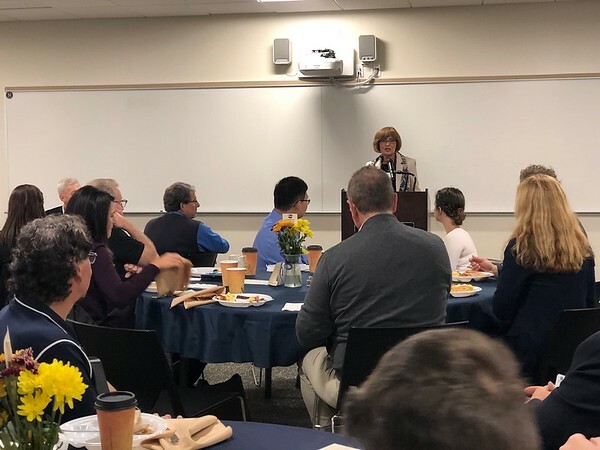 “Our goal was to connect local businesses to what we’re doing at the school, to build additional partnerships and strengthen existing partnerships by showing off what our students can do in their own words,” Career Academy counselor Rachel Arnett explained. 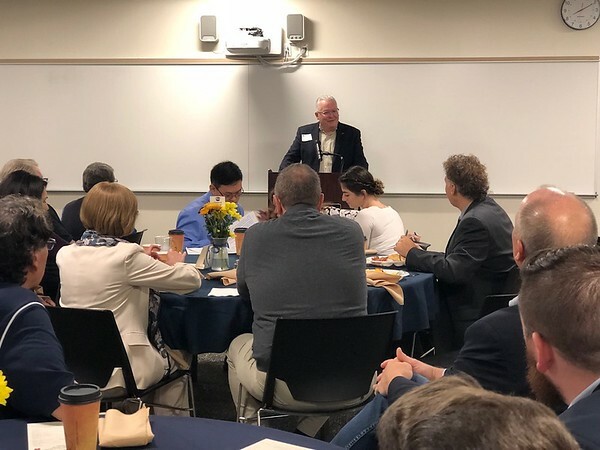 There are currently 103 students in the Finance & Business Management, IT & Digital Innovation, Medical Sciences, and Culinary & Hospitality academies. An Aerospace & Engineering Academy is expected to open at NHS next year. Internships supplement class curriculum of students ages 16 and older, who take career skills training beforehand. 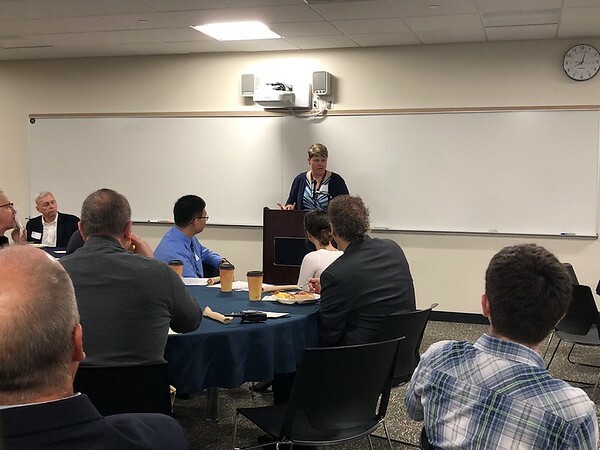 Student speakers shared their personal stories at the breakfast. “It’s given me a bunch of opportunities,” she added. Weeden interned at LIFER Fitness Studios in West Hartford and did a job shadow at a relative’s real estate agency. She plans to pursue business administration in college next fall. 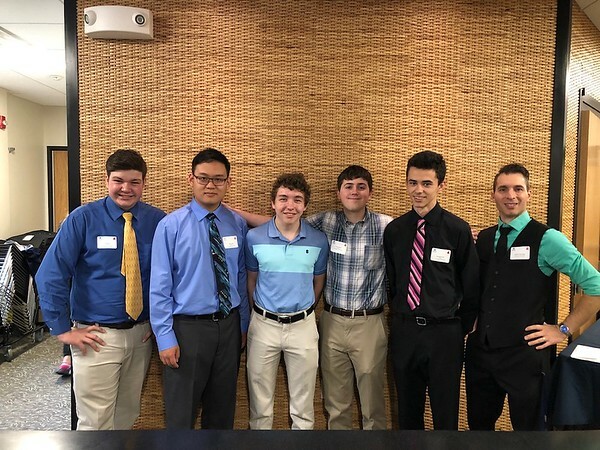 Senior Ryan Peruta was studying IT and Digital Innovation, but was unsure of his focus until an internship at Sublime Exposure in New Britain over the summer. “That’s when I found out I wanted to do graphic design as a career,” he said. Peruta was offered a job with the company after his internship and proudly accepted it. “I wouldn’t have been able to do any of this without the academy. It helped me push myself into trying new things,” he said. 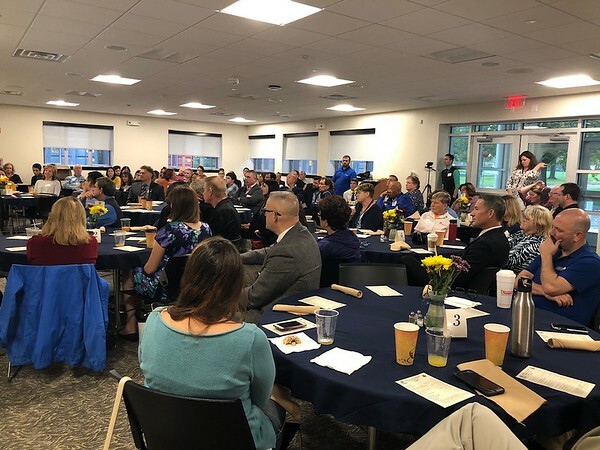 Representatives from 24 different businesses attended. This included members of the Academy Advisory Board, who provide professional insight to teachers and students. Senior Shihao Zhai was one of the morning’s emcees. He is an IT & Digital Innovation Academy student. Culinary student Leilanie Perez has always loved cooking, she told the crowd. 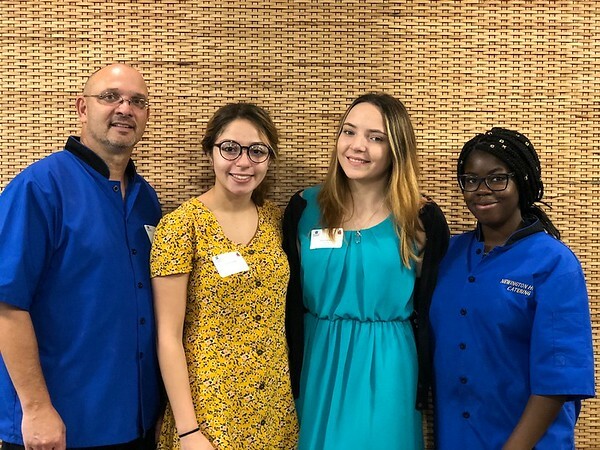 The NHS Academies are among many focused-study programs popping up in public schools across the country, as educators strive to provide the incoming generation of young professionals with hands-on, worked-based learning experiences. NHS Workforce Development Specialist Pamela Ennis explained this to attendees in her breakfast invitation.